This week’s open base needle woven picot of the stitch challenge by SharonB is very similar to last week’s stitch. I thought, the variations would be very similar,So this stitch sampler was done tomaintain the rhythm of the challenge. Details- the samples on the left are combinations of open base needle woven picot with bullion, Cretan and buttonhole stitches. 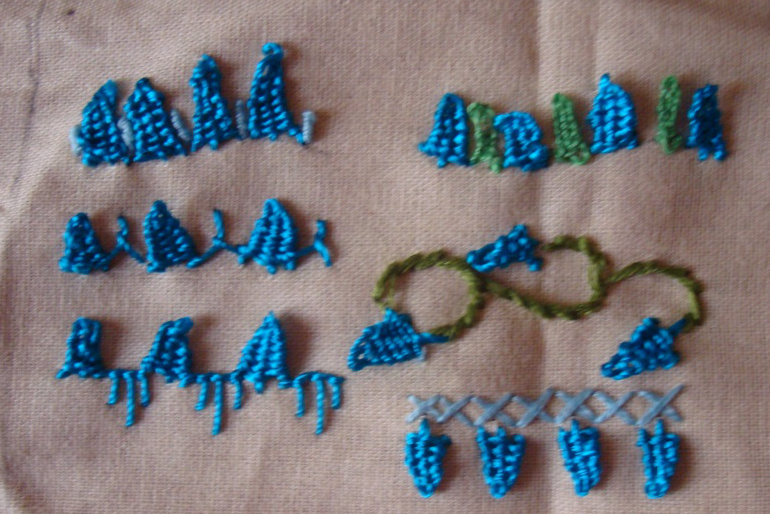 The sample on the right are combinations with closed base needle woven picot, stem stitch and cross stitch .